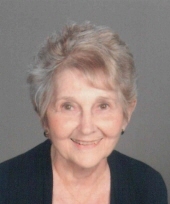 PEORIA - Carol Ann (Kosanke) Hedeman, 81, of Peoria, died on Saturday, April 6, 2019, at UnityPoint Health-Methodist in Peoria surrounded by family. Carol was born in Ripon, Wisconsin on May 10, 1937, to Frank and Esther (Prellwitz) Kosanke, who both have preceded her in death as well as her brother, Robert and sister, Lillian. Her father emigrated from Pommern, Germany with his family when he was about 5 years old. Carol graduated from Elmhurst College where she met her husband to be, Allan Hedeman. Carol and Allan would have celebrated their 60th anniversary in June. Three children blessed their life: David, John (Chantel), and Debra (Donn) Frizzi, as well as 9 grandchildren, Richard, Jessica (Mills), Zachary, Robert, Jacob, Olivia, Ian, Tiare, and Matthew; and two great-grandchildren, Ainsley and Ryker Mills. Carol taught 3rd grade in Arenzville for a short time, substitute taught in the Peoria area, and tutored reading, also in Peoria. In 1987, she obtained her master’s degree in counseling from Bradley University. She then, was employed by Illinois Central College for personal counseling, academic advisement, and career guidance. Carol was active in the League of Women Voters for many years, was a Girl Scout leader, sang in the German American choir, danced in the German folk dance group, dealt with German merchandise for Damenchor Germania. She and Allan were members of the formal dance, Caper Club, for about 20 years. She was loved by her children and grandchildren for being very supportive of their activities and accomplishments. She will be greatly missed by her husband, Allan, her children, grandchildren, great-grandchildren, and her friends. Cremation rites have been accorded. A visitation will be at First Federated Church in Peoria on Friday, April 12, 2019, from 10 to 11:15 a.m., followed by a memorial service at 11:15 a.m. Inurnment will be in the church columbarium following the service. "Email Address" would like to share the life celebration of Carol Ann Hedeman. Click on the "link" to go to share a favorite memory or leave a condolence message for the family.